Omar Naseef, a native Austinite and UT grad, is on a mission. By launching YoMobi, he and partner Katherine Ruiz are poised to shatter barriers and make mobile commerce accessible to all entrepreneurs and small businesses. He identified an inequity: that nonprofits and micro-businesses who couldn’t afford to hire their own IT staff or site developers were falling behind in converting their sites for mobile users. “Mobile technology has revolutionized commerce and created a whole new opportunity for businesses and individuals in Austin and around the world reach a vast customer base.” said Naseef. But without the technical know-how or the funds to pay for site conversion, the revolution would be elusive. That’s where YoMobi comes into play. “Our goal is to allow people to create and manage a mobile storefront and take electronic payments with just a smartphone,” Naseef explained. Users can access YoMobi for free, and its incredibly user-friendly platform allows them to build a customized site within minutes. 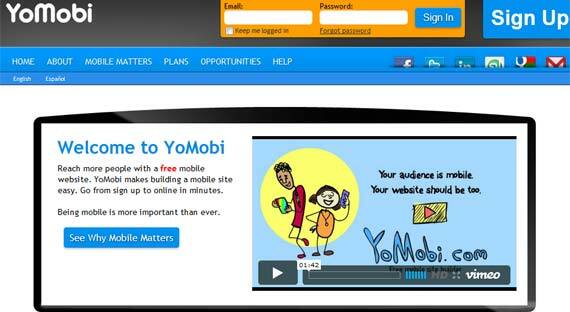 YoMobi went live this year and has already helped hundreds of businesses go mobile. As part of their social mission, they’ve worked with two local non-profits, the Austin School of Film and the Hill Country Ride. “A big part of our mission is to break down resource barriers and use technology to advance social causes and create new economic opportunities. That’s why we helped these two Austin non-profits with mobile sites. We want to work with other non-profits as well to help them expand their reach”, Naseef elaborated. The reception has been amazing, and YoMobi got a major boost when it was selected as part of the VoltCrowd job creation challenge. In this campaign, 93 finalists have from Nov. 19 to Dec. 20 to raise $50,000, receiving support from VoltCrowd along the way.